Malaysia Wedding Photographer with over 10 years of field experience. Personally covered over 1000 assignments with over 100 positive testimonials, travelled over 300 cities, assigned to over 30 destinations around the world, personally conducted 4 different workshops for 12 times, spoken in public for over 10 times and photographic materials have closely engaged with over 6 million audiences. 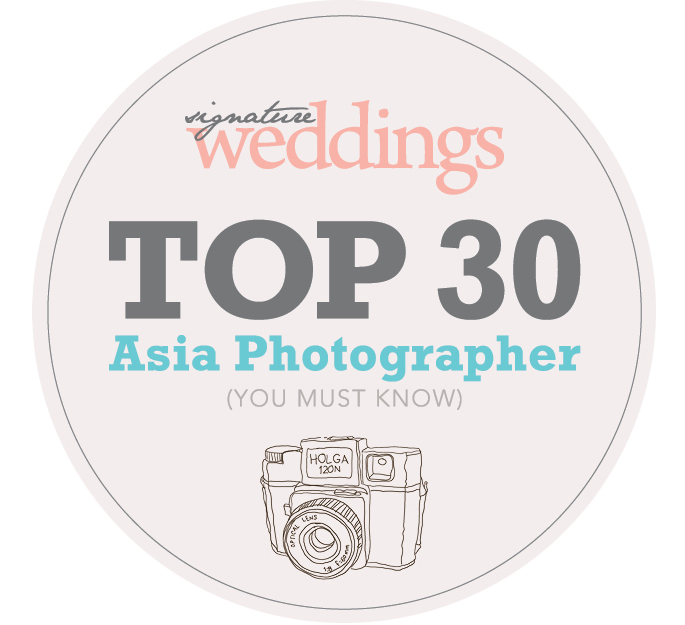 Published as Asia Top 30 Photographer by Signature Weddings Magazine, Malaysia Top 10 Photographers, endorsed as Asia AWP Top Wedding Photographer by Asia AWP and reported as "Most popular Wedding Photographer” by NTV7 special report. Leading a team of photographers, visionary men, world lovers, existentialists, light givers, story collectors and a dream generators. Business embedded strong vision of "No Shark Fin Soup", "Support Positive Pictures", "Education in Northern Thailand", "Promote Social Awareness" and "Small Business, Big Vision". Life principles: See the world, explore the minds, heal the souls, enlighten the lives, and contribute to the society. Hi awesome one, I am Dennis Yap, I enjoy being truthful, genuine and passionate on what I am doing. 10 years ago, it all began with a dream and a few principles; to capture photos that can be a life expression with not just genuine emotions but also those to express those moments that are not visible to the eye but inside the individual’s heart. Just like how the book in The Little Prince described “It is only with the heart that one can see rightly; what is essential is invisible to the eye.” With a thousand assignments and numerous positive testimonials, you made me believe that I am on the right track. Thank you all of you that believed in me. My inspirations and ideas came from my life experiences and everyone that I met, you, your spouse, your family and the ones that are connected with you. All of my achievements are all based on your testimonials and not by winning awards. Love is a strange thing and I love it, because it has no beginning and end, it exist before the universe has started, every meaningful stories has an effect to my soul, when you laugh, I laugh with you; when you cry, I might cry with you, if you did not laugh or cry, I will try my best to make that happen! Hi, I just wanted to drop you a line to say a huge thank you to you for the beautiful wedding photos. You guys have created some stunning shots that take us back to the day each time we look at them. You’ve captured all the emotions, laughter and love perfectly. They have also been amazing to show family and friends that couldn’t make our day and all of them have said they feel like they were there after viewing them. Thank you also for the reassurance you guys gave me the morning of the wedding! Not only would we recommend you – we would shout it from the rooftops! You guys got to know us as a couple and all the small intricacies of our wedding and the results are just phenomenal! Mitra and I have received the images and video and we send our heartiest thanks for this amazing photo shot. All your efforts are well appreciated. Next time you’re in Melbourne please drop us a line and we can catch up for a coffee or a beer. We received the album yesterday. It was very beautifully done and definitely brought back a lot of good memories :) my family and in-laws are very happy with the photos and kept praising your team's work yesterday. Aww thank you very much Dennis!! I am looking through the photos now.. I love every single one of them!! You make me want to do another pre wed shoot! We had a wonderful time with you and thanks for being so patient with us!! We truly appreciate it. Thanks Dennis and Remy for the wonderful and memorable photoshoot in Bali! Love our prewedding and AD photos... Thanks our dear friend, Dennis! I love it, finally my veil is in us!! I was just telling our friends, as if you can read our mind and know what we need... so in love with you, LOL your photos la. It's me who should say thank you. I am so happy that you capture such beautiful pic of my wedding. Thanks for creating the memorable moments in our life bro! Thank you so much for creating images that we will enjoy for a lifetime. May God&nbsp; bless your marriage &amp; pour His warmth and care on your lovely journey ahead! Bless your work and continue to guide you a wonderful life. Also I would like to say a BIG THANK YOU to the team for providing a great job on my wedding day !! thank you so much for making my day even meaningful !! Thanks, Dennis!!! For being such a wonderful photographer! We enjoyed the process and love the photos. And thanks for hand delivering the precious album!! Also thanks to Remy Ngan for dolling me up so nicely. Thank you for the beautiful photos, thank you for capturing the softer part of me when I do not smile hahaha! I have never expected that l will look ok and in fact it looks nice :). Romantic, classic, elegant, memorable -- those are just a few words that come to mind after browsing your wedding photos on your website. We love the way that you capture the emotion and the true joy of your couples. From the bottom of our hearts, we would like to thank you and Remy for such a wonderful time together at Hoi An. Putting 100% trust in you to be honest and authentic with our emotions made us more relaxed and intimately closer. We truly can connect with the photographs and our family and friends have commented that it was the best pre-wedding album they've ever seen. Thanks again! Hey Dennis, Deniece and I really want to thank you again for this opportunity that you have us. I know that we have thanked you a lot of times but we really want to express again how grateful we are for the experience. The more we think about it, the more we cherish. It wasn't just fun but it pulled some inward strings and increased our love and appreciation for one another. Thanks for being part of it. IT'S ALWAYS TOUCHING; I know that feeling ... I have been there before ... the clashing of senses; happiness and yet sadness. Our little girl has grown up and leaving the nest. Such, such beautiful moments and Dennis is always clever to capture that evoking feeling! Dennis Yap! You know what?? U made me cry..... I was really touched after watching the clip, really love with the pics, thank you so much! Thanks for the beautiful pictures and touching SDE. You are really awesome. Big shootout to Cliff as well. P.S: The tears came later. Thank you so much for making Yien Wah's wedding photos so special. You have really captured the feel of family and emotions on the day. I had tears when I first saw the slide-show for the tea ceremony, I had to hold them back only because my face had only been made up! Keep having this special touch you have with capturing the emotion and feel of the moment in your photos. You really do make a difference. All the best! Dennis! You're amazing! They say picture speaks a thousand words,and your pictures touches a thousand hearts! From 'trash the dress' to Carcosa, Back to the School and Oriental Nite, you surprise us over and over again! Thank you for realising part of our dream. Love Khai n Steph! Dear Dennis! thanks for the photos n the video. really something out of our expectation. you did a great job! Also thank you all that made this happen! We had a great time during the photoshoot and now having a great time watching the video. Esther and I will have this special gift from you as our 2011 valentine present! Once again, Thank you!!! Tonny and I just want to say thank you - we're delighted with it! It's beautifully put together and looks capable of lasting for a lifetime. WOW! what can we say, they are amazing, I was almost crying just looking at all you have ca...ptured. thank you so much for all your hard work and for joining us for such a special and memorable day. all the tiny details have been reflected in your photos and we are so grateful. we cant wait to share them with all our friends. they'll bring back special memories for years and years. We hope we can have another photo session with you in the future. All the best and We will cherish these memories. We just wanted to take the time to thank you once again for doing such a wonderful job with our family portrait. The finished product was so much more than we ever expected! You were such a pleasure to work with and made all the photos taken so painless for the day out. Since I shared the slideshow, we have received numerous compliments from all those who have seen your work. They are speechless at the quality and creativity of your work! Thanks again for leaving us with such amazing shots. James says, that is my 'cartoon'! I saw your photos taken on Sam and Tong's wedding. Very well taken! You managed to capture the many expressions , emotions of the many guests! Every couple wants their wedding photography to be picture perfect. From the pre-ceremony preparations to the last dance, Dennis captures the events with photography that elicit the unique emotions of the wedding experience. Whether it is the bride’s warm hug with her grandpa or the best man’s dance with the flower girl, he catches the spontaneous and touching moments in the most artistic and unobtrusive way. Dennis Yap’s foray into wedding photography is no mere coincidence; it was his destiny. Describing his photography style as a blend of fusion, spiritual and journalistic, he truly enjoys the thrill of creating brilliant works of creative art that are personalised for each couple. Not surprisingly, he often looks forward to his client’s wedding slideshow presentation during dinner when he gets to see happy faces and big smiles all around! A keen observer and dedicated photographer, Dennis will labor on all the fine details with his clients before the initial photography session to ensure that they receive what they want. Dennis’ personal motto of capturing the perfect picture is that every shot taken has to be special and unique in its own way. A photographer that dares to explore, will have clients who will benefit the most from it. He understands the value of which the wedding photos hold for each couple and he is willing to go through great lengths to provide them with outstanding service, catering to their specific wants and needs. He knows his clients deserve only the best! With a natural photographer’s instinct and talent, Dennis has a sharp eye for joyous and touching moments shared by the couple and their guests. Whether it is the moment when the bride sashays down the aisle to her beloved groom, or when the loving couple receive blessings and benedictions at the altar, or even during the busy reception dinner in the evening, he will meticulously encase all these cherished moments, and turn them into memorable keepsakes. Thank you so much for the photos, really gorgeous appreciate all the photos that you send to us. Thanks Dennis! I also wanted to say that we like your pictures a lot and many thanks for your assistance on the wedding day. 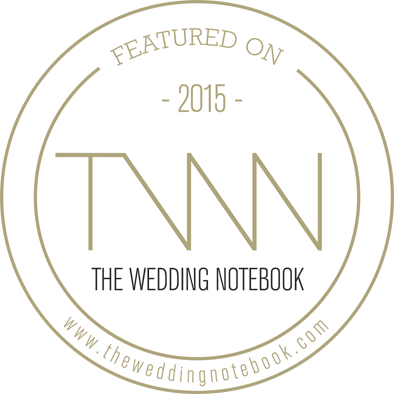 To Dennis and your team, for doing such an amazing job of capturing such beautiful photographs of our big days! Many many many thanks. Even after watching so many times, I still feel all the anticipation and excitement of the day. I simply cannot wait to see the rest! Thank you so so much for the photos! We love them! The video is amazing as well. I love how you named it the “everlasting road trip” And you’ve captured the moments so beautifully. Thank you, thank you, thank you! Once again would like to take the chance to thank you and your team very much for your time and effort for taking care of our wedding photos. It has turned out absolutely amazing. 这是我之前透过朋友介绍的摄影 Studio, 摄影师的技术高超，景点漂亮以及强大的后制作团队。十分满意他们的服务态度及表现。我也会介绍给我的朋友们这间摄影 Studio. Very good services, Highly recommended!!! Dennis's talent speaks for itself (bet you can't get your eyes off the stunning pictures on this site!). When I got engaged, I knew exactly who I was contacting first :). The pre-wedding photography experience was fun and creative. We are very happy with our photographs and really appreciate Dennis's directions during our shoot. His vision and use of light are impressive. Highly recommend! Received the album today. Thank you very much! Is very lovely and everybody is complimenting how great it looks. Thank you Dennis for taking such nice pictures of our love to cherish all our lives. Can't thank you enough... we will treasure it greatly. Thank you once again! ❤ ❤ ❤ Wish you prosperous business all years ahead. Thank you very much. You captured such great moments. To my 2 awesome photographers Dennis Yap and Pei Loong. A million THANK YOUs for the excellent photos and memories you have given us. Your photos touched our hearts no matter how many times we see them. You have given us an everlasting experience that we will cherish for many years to come. You have truly given us a beautiful FOREVER AFTER that we can re-live over and over every time we open our album or our cds. Yes, your photos touch our hearts no matter how many times we view them... they are full with emotions n every shot meant so much to us....THANK YOU! Because of their great service, i would like to highly recommend them to all who are planning to get hitched but unsure of where to start. Pre-wedding shoot was done by dennis yap photography in KL. Beautiful pictures, beautiful composition, beautiful story. Thanks a lot mate for the wonderful memories that you and Remy had created!!!! Me and Zhu Zen is truly grateful and we cherish the every moments with u guys!!! Hi Dennis, we saw the clips! It's was so touching that I almost cried. Thank you so much!! We Love you!! Thank you very much for your hard work! We love the photos so much and we've received excellent compliments from all rounds. And yes, we have promoted Dennis Yap's branding numerous times in Shanghai too. You have managed to capture touching moments in our wedding. Thanks for meeting us. We are really sad that you couldn't help us take nice pics during our very special day. What we miss most about you is the fun squirmy side of you that we are so comfortable with. This is somebody we were always looking for to work with but its God's call. Haha. Thanks for everything and please help think of some nice ideas where to take when we are in Ipoh. Nites! Really Really thanks for coming and provide us the best service. Really appreciate and we really love to have you! Hope to see you again in KK! Zairin and I can't thank you enough for being our photographer for one of the most important events in our lives. Thank you so much. I called my parents on Sunday, and they have received the DVD. They love the design and everything. Dennis, just wanted to extend our appreciation and sincere thanks again for taking such lovely photos for our pre-wedding shoot. The pictures are beautiful and everyone who has seen them thinks the same - you are very talented! Greeting from London - Hope you are well. Just a note to say many thanks for being the photographer on our big day on 27/10/12. We are impressed by the slideshow that you have produced. the family are thrilled and could not wait to see the rest of your works. Thank you for the slideshow. The experience and memory indeed valued more than what is being seen in the pictures. Thanks for making it happen. Thanks uncle Dennis!!! Received and saw... We are in tears!!!!! A real surprise! Love the song, love the pics, love the rhythm, love the moments!!! Bring us so much memories! Edwin is so enthu in posting for wedding shots these days. He changed so much after the shooting session, in a good way! Thanks for everything you did for us!!! Thanks for all the lovely photos taken, we love it so much~!~! Hello Dennis. I have been viewing yr photos.. Undeniably, you have good eyes on capturing fabulous images and what is intriging is your ability to lock a story in a photo and invoke emotions from audiences like myself. u have a glaring talent in photography! Thanks Dennis! :) Warms my heart to hear that... God has made everything beautiful in His time. :D Thanks for making us look beautiful that amazing day. Thanks Dennis for the wonderful pics! Lovely! Magnificent! Breath-taking! Fantastic Photography! Hope to catch up with you in Singapore! Dennis Yap approaches each wedding and portraiture with a fresh outlook and treats each couple individually, always striving to photograph each wedding in the most creative and exciting way. To him, ‘a photo speaks a thousand words.’ A stolen glance, a quick kiss or an intimate exchange can be gone in a flash. But a skilled and perceptive wedding photojournalist knows how to anticipate and capture those quick moments at the right time and place. For Dennis, photography is an art form that expresses an individual’s expressions, reactions and emotions. Dennis took up the profession as a personal challenge as he realised that wedding photography demanded a strong combination of various traits, skills and techniques to make it all work. Though there are certain moments and situations that come with every wedding, there are thousands of different angles to capture them. It takes creativity and experimentation to find these ways. 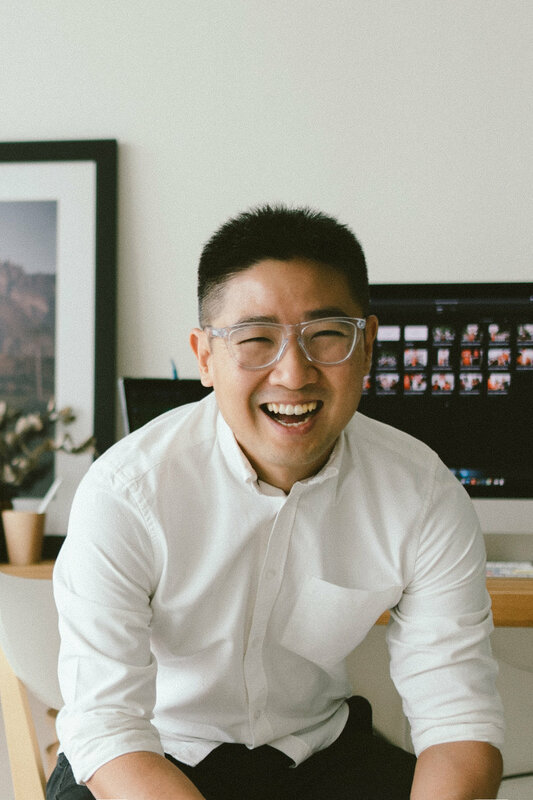 To enhance his photography skills, knowledge and techniques, Dennis stays current with industry trends. He describes his photography style as a blend of fusion, spiritual and journalistic. As Dennis notes, wedding photography offers a whole new dimension compared to other areas of photography as it chronicles the most important day in a couple’s life. When the day is over, your beautiful memories will be enhanced through photographs of the two of you. Most of Dennis’ clients find his photos very natural, spontaneous and inspiring. Whenever he hears a big applause during a slideshow, Dennis knows that his photos have connected with the audience and made a significant impact on their lives. The ultimate factor in finding your ideal wedding photojournalist is in the portfolio of your candidates. Through their images, one must determine if that particular photographer can produce the type of images that capture the moments and memories of your big day. Aside from strong credentials, Dennis also advises couples to choose a photographer who is able to swiftly respond to their requests. Work must be delivered within the agreed time frame; and Dennis has certainly kept to his motto ever since. "Love and Social Connections are always a form of wealth we carry, it always touches my heart whenever I am able to capture those essential moments that maybe mean nothing at that present time, but it is going to be priceless after many years." We are Malaysia Top 10 Wedding Photographer, again.